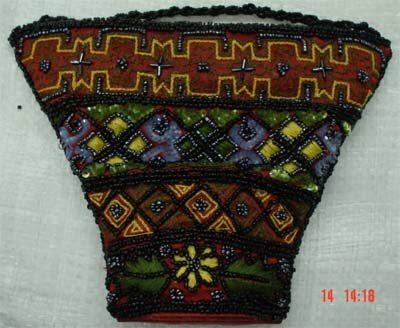 Cone shaped beaded evening bag. Base colours are red and gold. Suitable for any occasion.